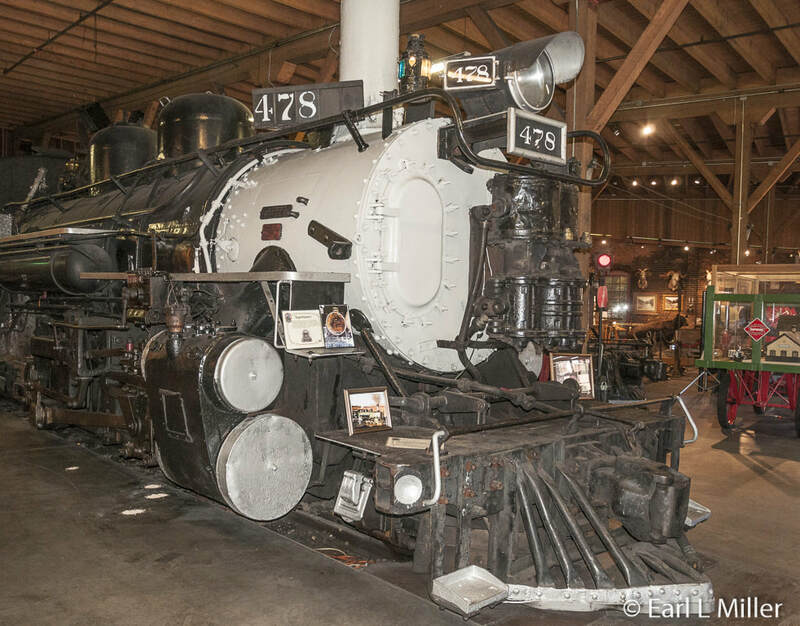 Railroad buffs will find Colorado a state where they can travel on several narrow gauge trains, explore museums of rolling stock, take a tour behind the scenes of how engines are maintained, or learn about seven unusual engines known as the Galloping Geese. One well-known route is the narrow gauge train on the Durango and Silverton Narrow Gauge Railroad (D&SNGRR). In 2017, it’s a trip running up to four trains a day through the San Juan Forest. 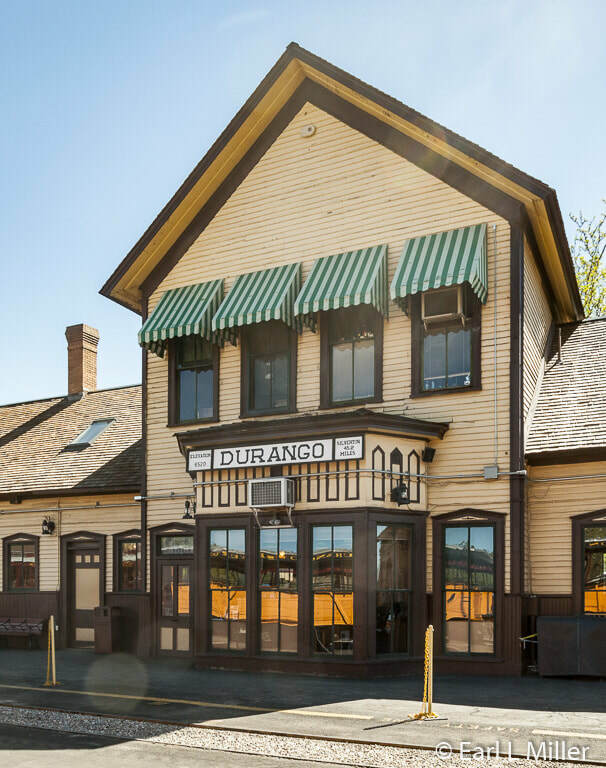 After a stopover for lunch in Silverton, passengers have their choice to return on a bus or take the return train trip to Durango. The Denver and Rio Grande Railroad (D&RG) was founded in 1870 by General William Jackson Palmer, who developed a massive narrow gauge network throughout Colorado. He chose narrow gauge track (three feet between the rails) over standard gauge (four feet, two inches between rails) for several reasons. It allowed the railroad to quickly lay track on sharp curves through the mountains, and it was less costly. 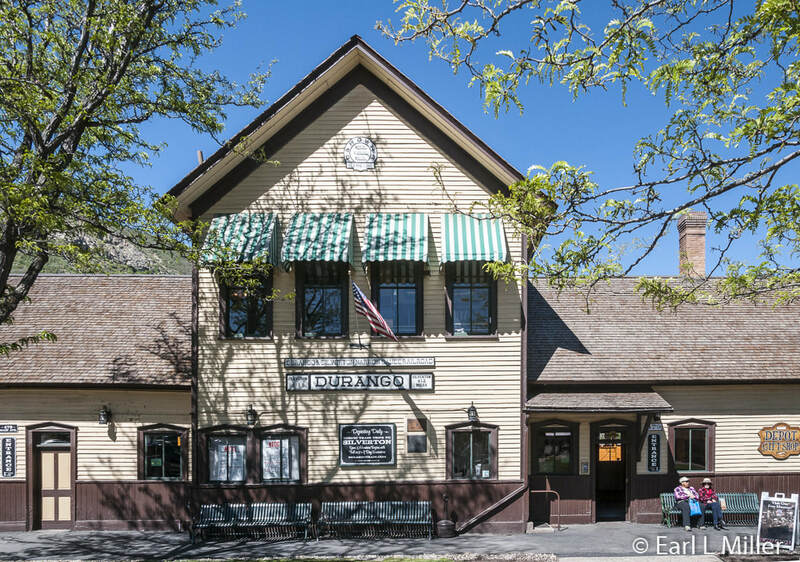 Palmer started laying tracks in Durango during the fall of 1881 and finished in Silverton in July 1882 with trains hauling passengers and freight. The railroad ran three trains daily out of Durango to Silverton to support the area’s mines. They delivered their ore to Durango, the home of three smelters. Some gold was discovered. However, it was the silver mines that prospered until the Silver Panic of 1893. That led to the closure of ten mines when the price fell from $1.05 to 63 cents an ounce. Three years later, two more mines played out. During the next 20 years, the railroads faced challenges ranging from slides, snows, floods, war, and financial instability. With World War II, the Durango smelter reopened to process uranium instead of silver. This lasted into the late 1940's. By 1947, it was looking like the Silverton branch of the railroad would be abandoned. At that time, tourism started keeping the railroad alive. 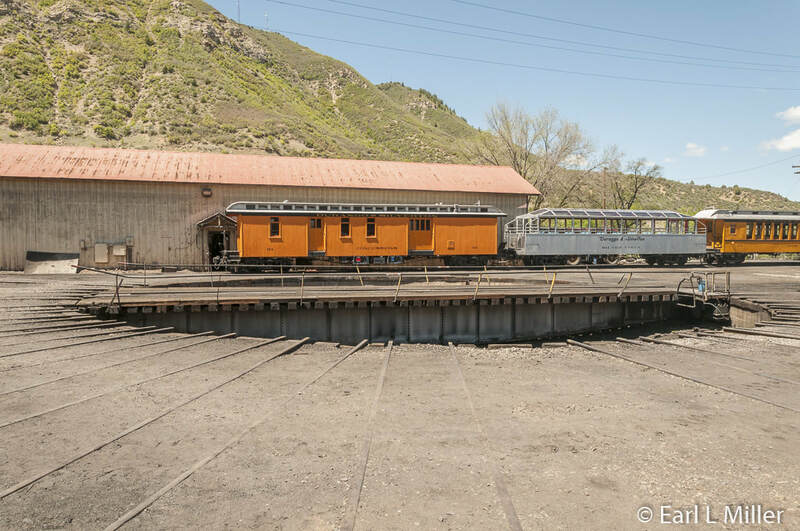 During the late 1960's, the Durango-Silverton was registered as a national historic landmark and received recognition as a National Historic Civil Engineering Landmark. Despite these honors, in 1962, the railroad unsuccessfully petitioned the Public Utilities Commission to abandon the line. In 1981, Charles E. Bradshaw bought the railroad from D&RG. 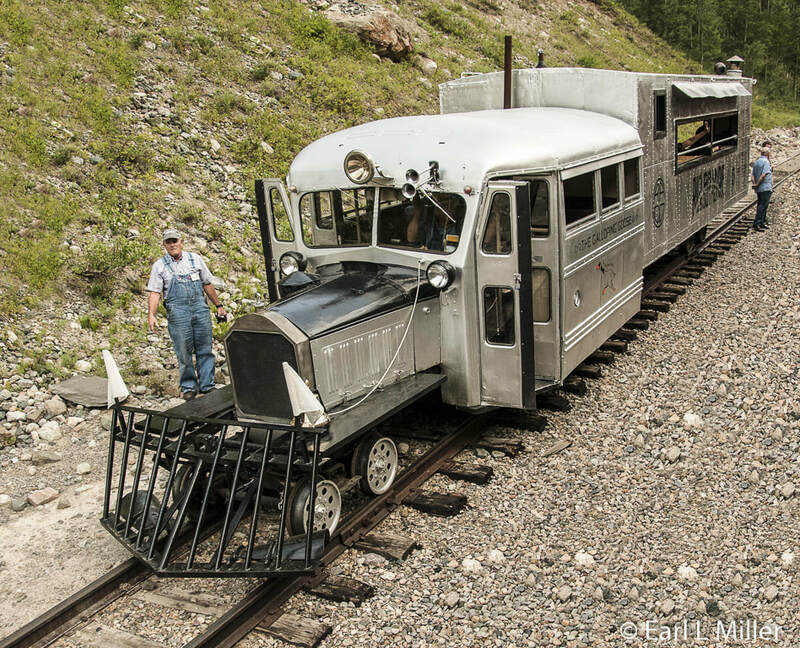 He changed its name to the Durango & Silverton Narrow Gauge Railroad. After making improvements to the track and equipment and increasing its service, Bradshaw sold the railroad to First American Railways, Inc.
Locomotives #497 and #480 were restored and returned to service. The #497 was the only K-37 type of narrow gauge steam locomotive to run on the line, and an innovative RailCamp was built for use in the summer. 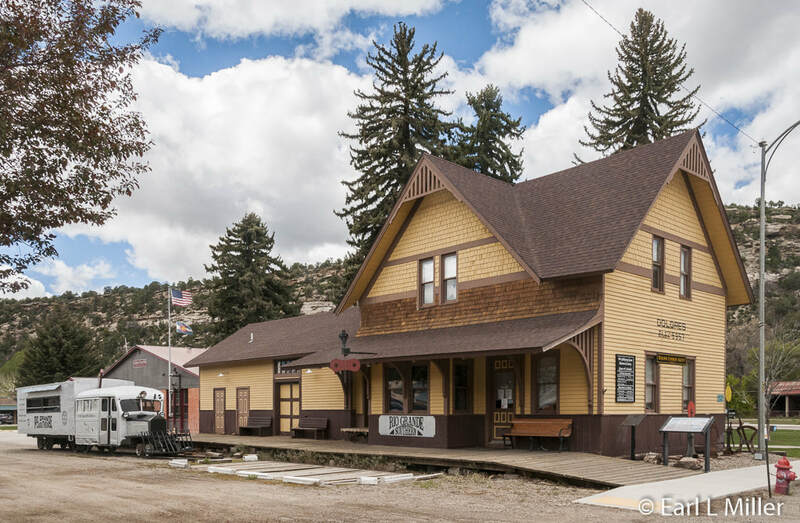 In 1985, the railroad purchased the Silverton Depot and by 1986, four trains ran to Silverton. Since 1998, the current owners, Carol and Al Harper, of American Heritage Railway, have owned and operated the line which operates year round. The 1923-25 vintage locomotives are 100% coal fired and steam operated. Each coach features bathroom facilities with heated cars used during the winter months. Several choices of seating exist. 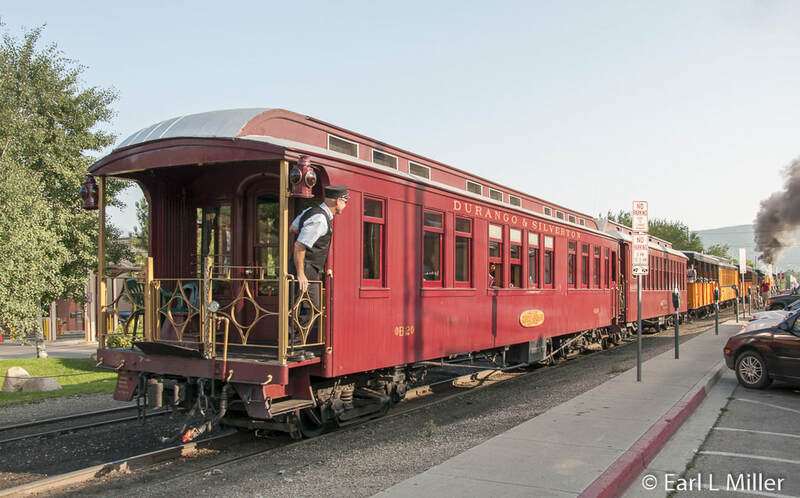 They range from the presidential cars to open gondola cars providing panoramic mountain views. Concessions are available on every train. From May through October, the train travels 45.4 miles each way to Silverton. It journeys in November through April on a 26-mile-journey each way to Cascade along the Animas River. 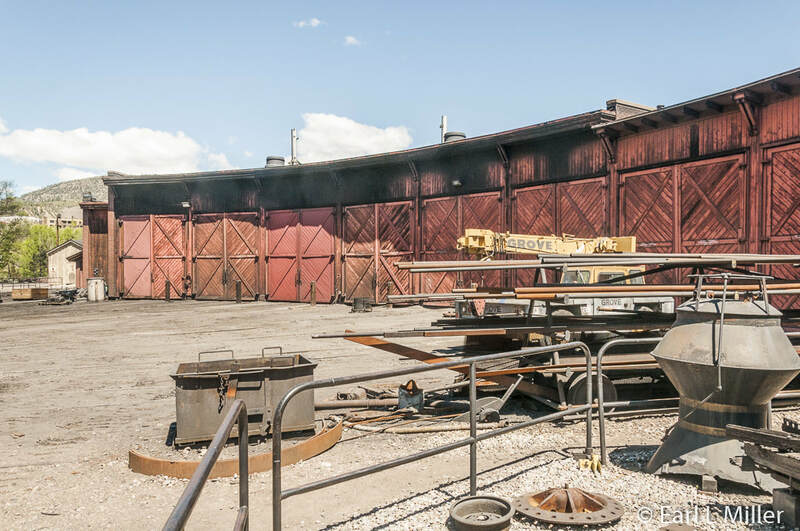 While visitors to Colorado are aware of the train ride, many don’t realize that you can take a one hour, one mile tour of the facility including the machine shop, warehouse, and dispatch tower. They can also see the drag flanger used for snow removal. 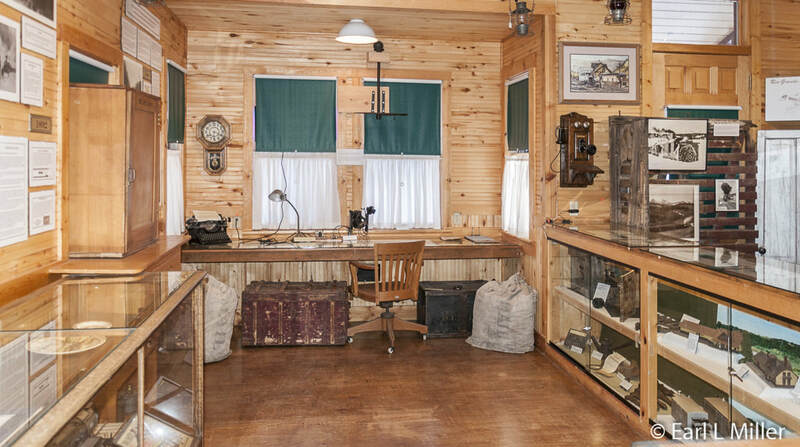 At the end of the tour, you can visit the 12,000 square foot railroad museum. Our guide, Dennis Berkey, gave us a private tour. We started at the 1881 depot which has changed over time. It now has three chimneys instead of its original four. The ticket office has been extended two to three feet out. After seeing the depot, we saw the exterior of General Palmer’s car dating to 1880 which was always used for business. It was refurbished in 1998. The rear end of the car contains a sitting room followed by a mini sitting room containing a table and train car seats. Opposite it is a restroom. Following the hall on the right-hand side is the bedroom. It contains marbled tops, a full-sized bed, and a vanity. Up front, the kitchen contains propane tanks for cooking and a table. We next visited the roundhouse which was built between 1880 and 1882. Like the depot, it is still on its original site, but with the exception of its brick exterior, it has changed dramatically. The machine shop occupies eight bays while the museum is housed in the other eight bays. In February 1989, a fire of unknown origin, destroyed almost all of its interior wooden structures. A reason that the destruction was not controlled was that firemen could not find the hydrants since they were all covered with snow. The six locomotives that were inside at the time of the fire survived. The structure was rebuilt in 1989 and rededicated in 1990. We observed the drag flanger used occasionally for snow removal. Due to winter avalanches, it didn’t go to Silverton during the winter. It’s a flat bed car with big wings on both sides which ran behind the caboose. Two operators controlled the hydraulically operated wings. Dennis said it is now used primarily for photo opportunities. We next visited the machine shop in the roundhouse. The metal and welding shop is contained in two bays. 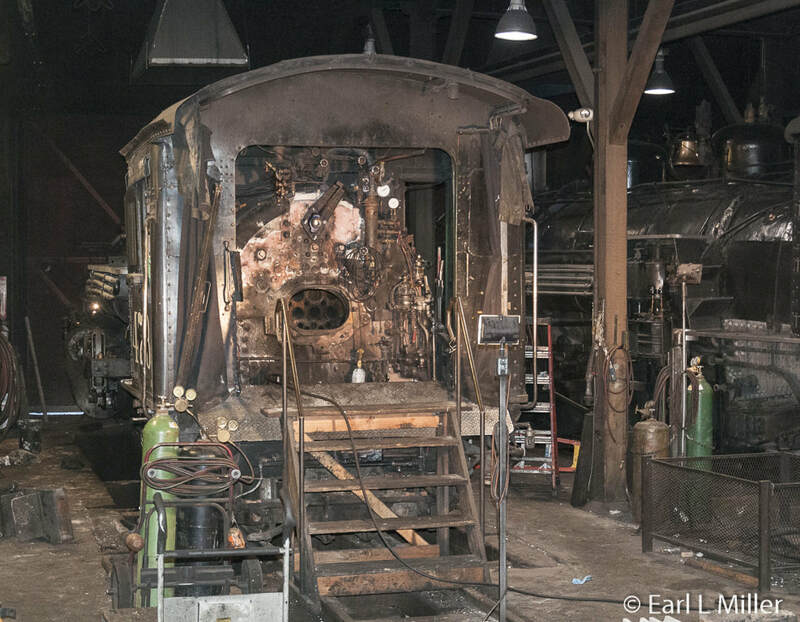 Dennis explained what was happening with the two locomotives being rebuilt in the shop. Tenders are not brought into the shop. Jacks are raised under the axles to allow removal of the wheel trucks. All outer shielding, insulation, and removable parts are taken off. By removing the rear plate, it gives access to the engine’s interior. Refurbishment of each engine takes a year. 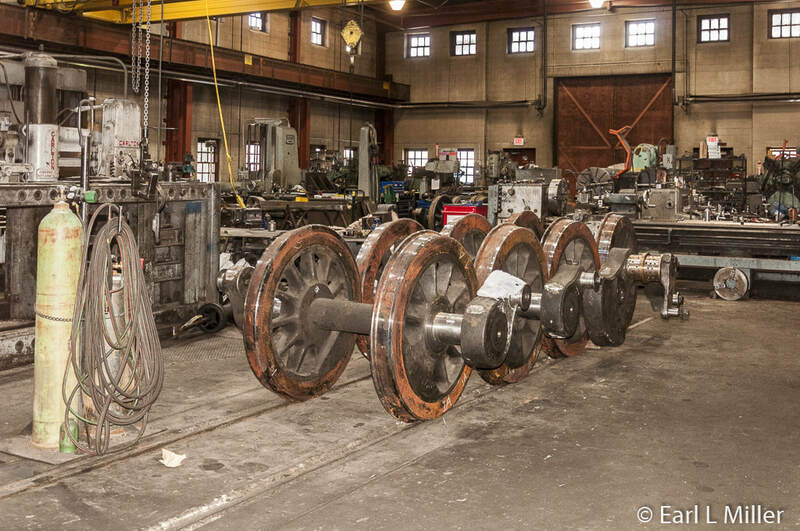 After the wheels are removed, they are positioned for machine work. The tires are put in a lathe and turned. All eight tires must be turned to the same circumference. They turn each wheel four times before going on to the next one. The process takes seven to eight days. He told us about the warehouse built in the 1960's. It’s a storehouse of goods used on a regular basis on the trains. These items are smaller than a breadbox and include everything from drinks to coffee makers. Anything bigger than that is put in the yard in close proximity to where it is used. For example, tires are manufactured to order at the machinery here. The railroad hires 90 to 100 full time employees year round with five to ten employees per train. Staff doubles during the summer. Since the warehouse hires about the same, total employment can reach between 200 and 225 people. We next visited the 12,000 square foot museum. We found it fully packed with everything from transportation vehicles to taxidermy, a Liberty Salute with lots of miniature toy soldiers, and a huge dollhouse. 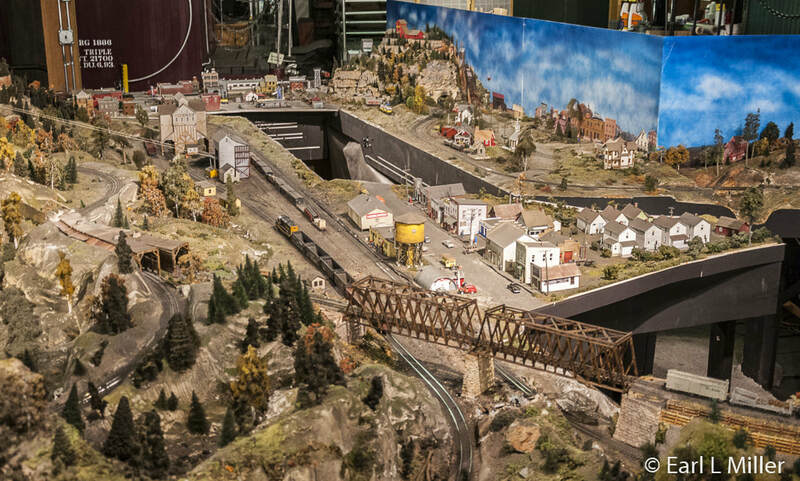 An 800-square-foot model railroad depicts the Denver & Rio Grande Railroad as it operated in the 1950's. 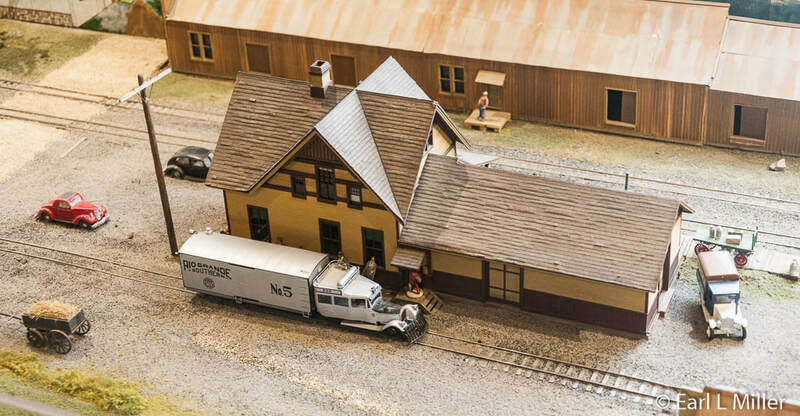 A unique display was John Birdfield’s hand built model of the Durango depot in the 1930's. It’s 1/20th the size. You’ll find two full-size locomotives, a caboose, and a sleeper car. 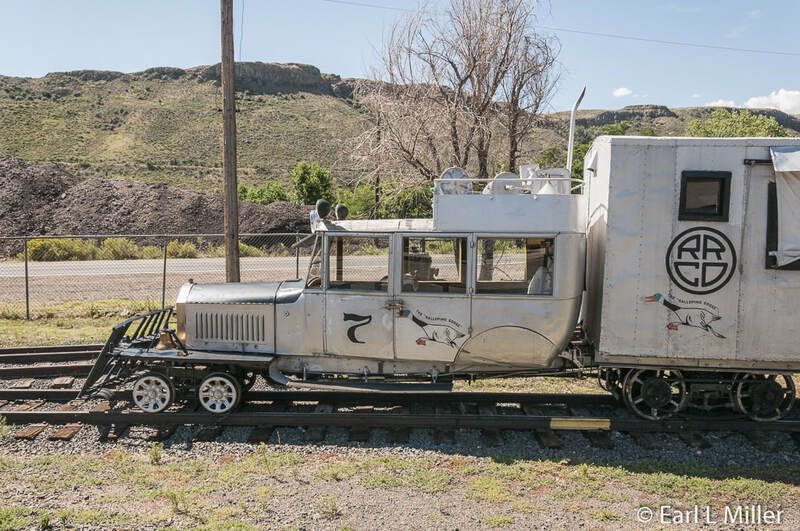 You may also spot the luggage car used in the movie “Butch Cassidy and the Sundance Kid.” Other highlights are Durango’s first motorized fire engine, antique cars from the 1920's and 1930's, and two planes including a 1913 Curtiss Headless Pusher Model “D” aircraft. 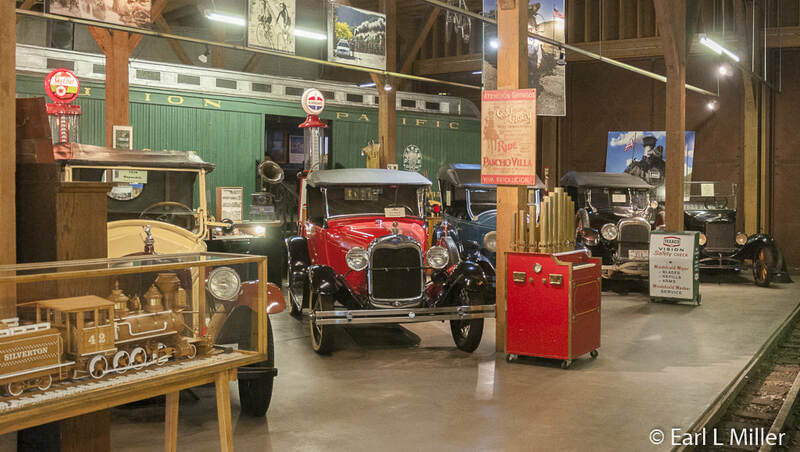 The museum is free and is located at 479 Main Avenue in Durango. The telephone number for it and the tour is (888) 872-4607. The museum is open year round corresponding with the passenger train schedule. Yard tours are available from May through October. They cost $5 per person if you take the train or $10 otherwise. The “Ticket to Tomahawk” which starred Marilyn Monroe, Dan Dailey, and Ann Baxter was filmed in 1950. The movie was shot over six weeks using an actual 1899 locomotive used in scenes of Silverton, Animas Canyon, and on the trestle over Lightner Creek. Forty miles of missing track required the film makers to build a wooden prop giving the appearance that mules were pulling the engine over Molas Pass, through the Fort Lewis College mesa, and down Silverton’s Blair Street. The Emma Sweeney was the wooden model locomotive used in the film. 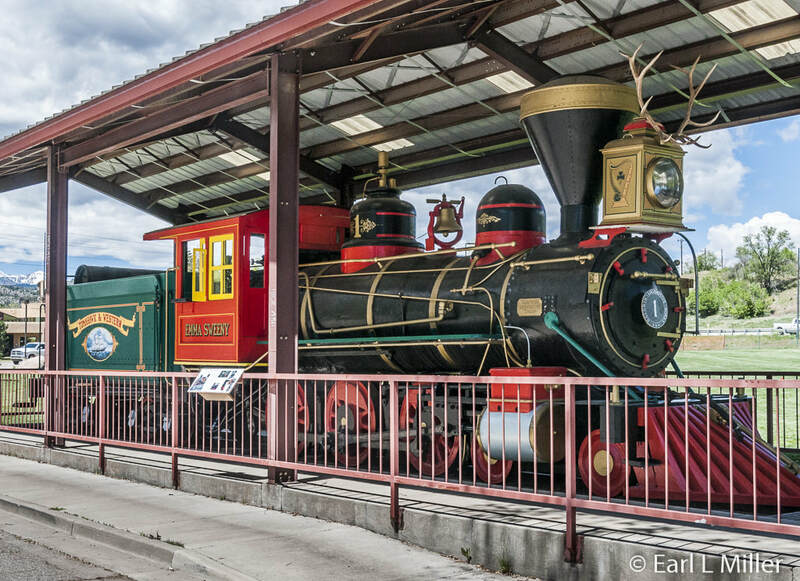 From 1963 to 1970, it was used primarily in studio work in the CBS sitcom “Petticoat Junction.” It is now housed in Durango’s Santa Rita Park at 2700 Main Avenue. 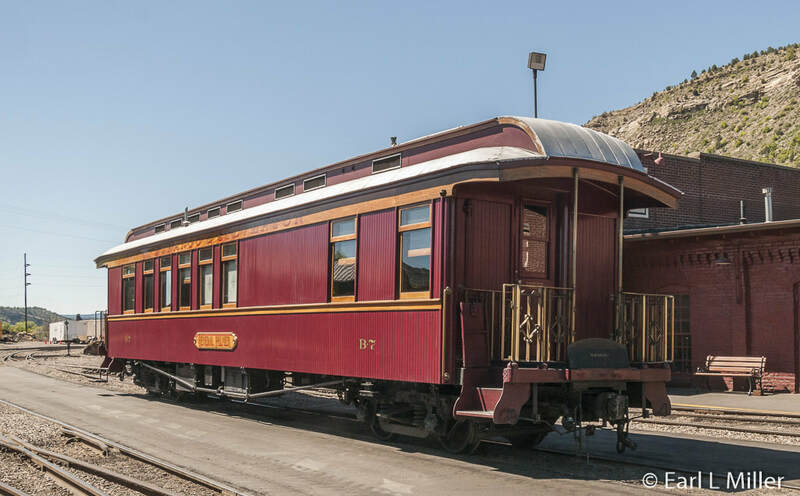 The Galloping Goose had its roots in Southwest Colorado’s Rio Grande Southern Railroad. The line, constructed in 1890-1891, was 169 miles of narrow gauge track running through the San Juan Mountains. It accessed and transported gold and silver from the mining towns of Telluride, Ophir, and Rico, making the railroad financially strong for the first couple of years. The line operated year round hauling gold and silver ore, passengers, mail, farm products ranging from beans to cattle, refined oil products, and lumber. When the 1893 Silver Panic closed many mines, the railroad slipped into receivership. 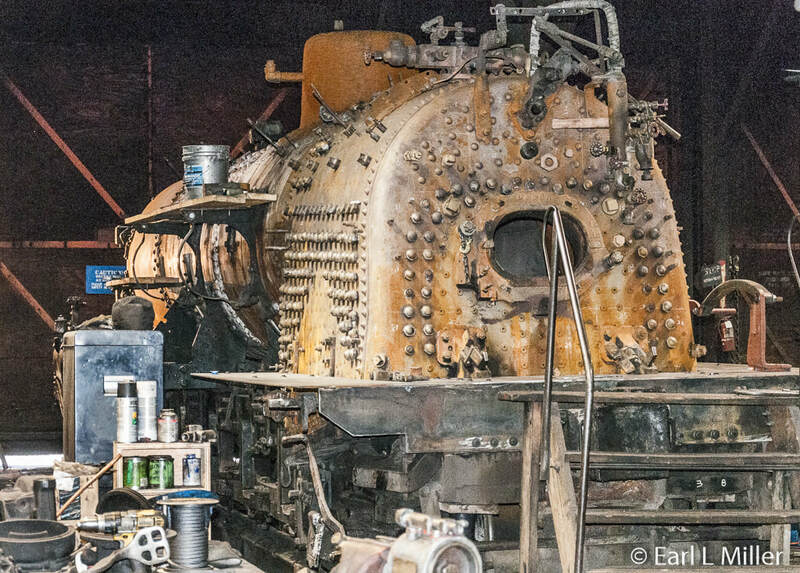 Struggling to survive, it even used second and third hand rolling stock and locomotives with most obtained from the Denver and Rio Grande Railroad. From 1931 to 1934, the railroad switched to seven automotive-based rail cars as a way to decrease costs and return to profitability. They were less expensive to operate because they were operated by one man. Lighter in weight, running them reduced impact on the rails and roadbeds. The risk of doing this paid off with RGS #1 making a profit within three weeks. They were first called Motors and then later known as Galloping Geese. They carried passengers, U.S. mail, and freight. Highway improvements made it difficult to compete with the trucking industry and the loss of the postal contract led to their demise. The RGS built its first Motor in 1913 as a track maintenance vehicle. Although it wrecked in 1926, it inspired the idea of using Motors for scheduled service. All of the seven later Motors were constructed in Ridgeway, Colorado. Their top speed was 25 mph and the engines ran at 2,000 rpm. The first, RGS #1, built in 1931, was constructed using a Buick open touring car for a cab with an open-staked freight bed. It cost less than $900. RGS #2 was also built in 1931 when the first proved to be too small. It was constructed on a Buick “Master Six” four-door sedan for a cab and had an enclosed rear freight box. The U.S. Postal Services complained that in the open car, the mail had arrived frozen while in the enclosed car, because of the pot belly stove, the mail was arriving too hot. RGS #2 was used for two years. The size was still not large enough so RGS built #3, #4, #5, and #7 using Pierce Arrow limousines, which had more torque, and longer, enclosed, rear freight, box trailers. The arrangement was like a tractor-trailer truck, The second wheel truck was powered while the freight compartment was basically a conventional boxcar. When they went into regular service, # 2 was used for backup and #1 for parts. Motor #6 was similar to the others as it had a Pierce Arrow sedan body. However, it had an open freight bed. Unlike the others which continued to be used for mail, passengers, and freight, it was used for track maintenance and repair. At first, the geese were painted in black and dark green. They were repainted in silver in 1935, a color which they retain today though the style of lettering and heralds changed over the years. In 1946/7, #3, #4, and #5 two-door Wayne Corporation school bus bodies replaced the wood framed Pierce Arrow bodies. After World War II, they also received new war surplus GMC 361 gasoline truck engines. 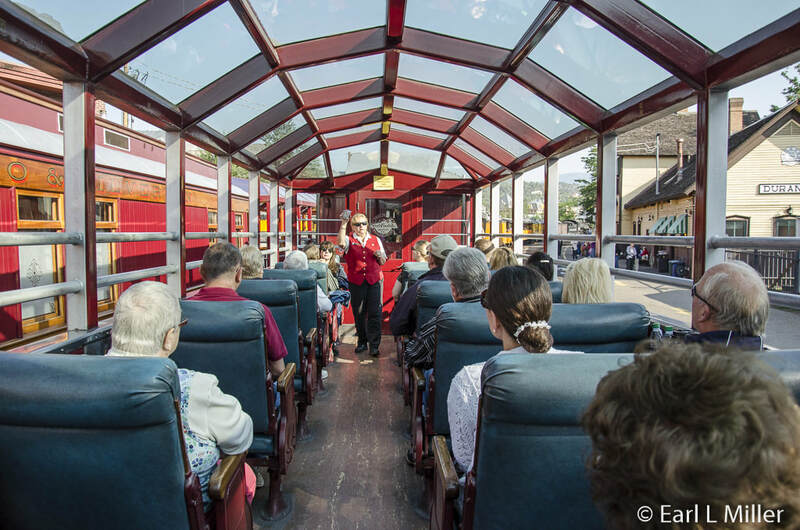 The freight/mail compartment was converted in 1950 to carry 20 more passengers on the sightseeing trips. Why the Galloping Geese achieved their nickname is not certain. One reason could be that they had no shock absorbers and looked like they were waddling back and forth when they were on uneven track. Another reason might have been their horns. They were at first quiet. Then they were later equipped with air horns rather than the train whistles of train locomotives. Although the name was informally used for years, it was not until the 1950's when the #3, #4, #5, and #7 were converted for tourist operations. At that time, the name”Galloping Goose” was officially recognized by the railroad. That year, when the mail contract was lost, large windows were cut in the freight compartments and Denver streetcar seats added so more passengers could be carried. 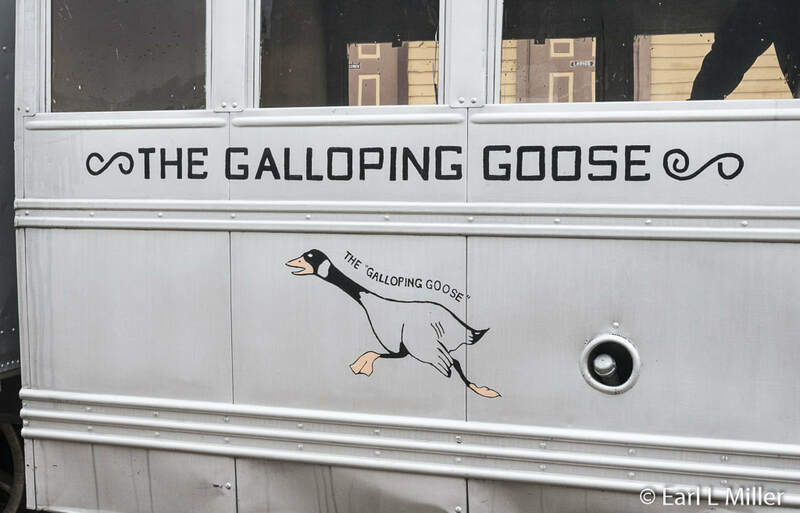 A figure of a running goose and the words “Galloping Goose” were added to the Motors’car body doors and to the buildings, even the outhouses. The service lasted through 1951 with the track removed in 1952. Not all the geese ran daily. Each Galloping Goose used only one employee instead of the five or six used by steam engine trains. 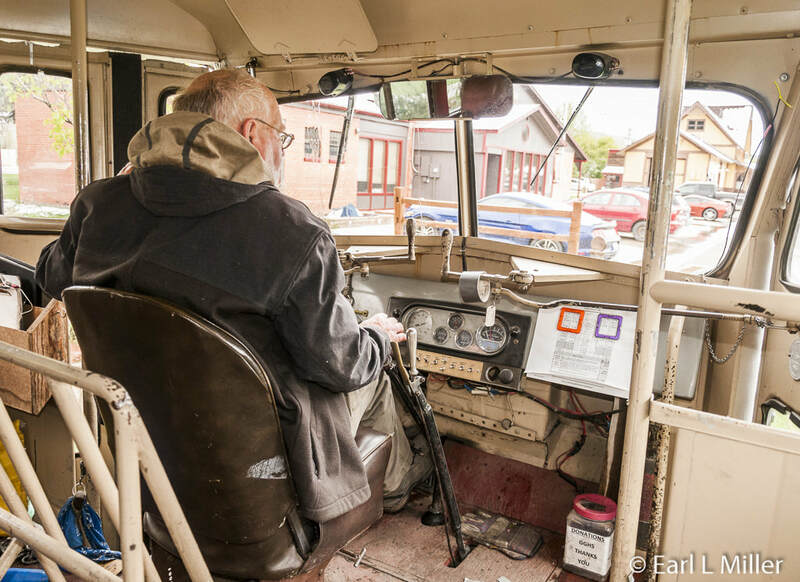 The motorman operated the railcar, was responsible for routine maintenance and fueling, threw his own track switches, served as conductor and handled the freight and mail. Many other times, he performed track maintenance and removed fallen rocks and other debris from the tracks. Two or three motormen worked the daily shifts. Passengers discovered when their favorite employee was working so they could ride with whom they liked. Although the Galloping Goose hasn’t been on the rails since 1951, they are still remembered by local citizens. 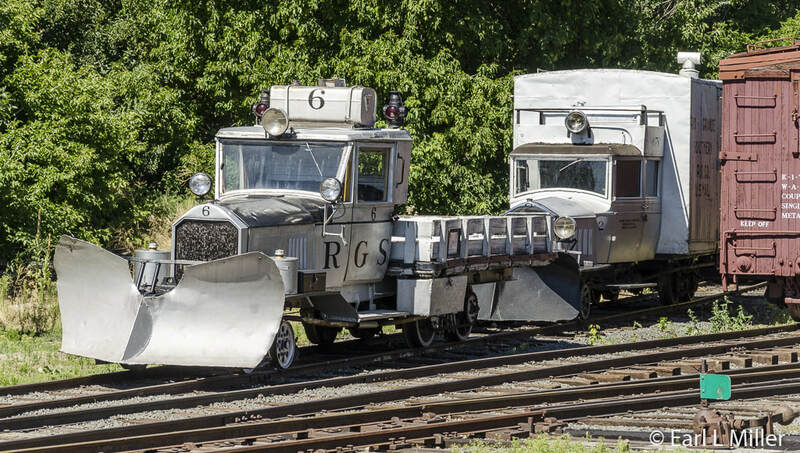 All the RGS railcars exist today except for #1. However, a replica of it was built in 2000 for the Ridgeway Railroad Museum. You can see Motors No #2, #6, and #7 at the Colorado Railroad Museum in Golden, Colorado. Goose #3 is at Knott’s Berry Farm in California while #4 is displayed at the Telluride, Colorado courthouse. 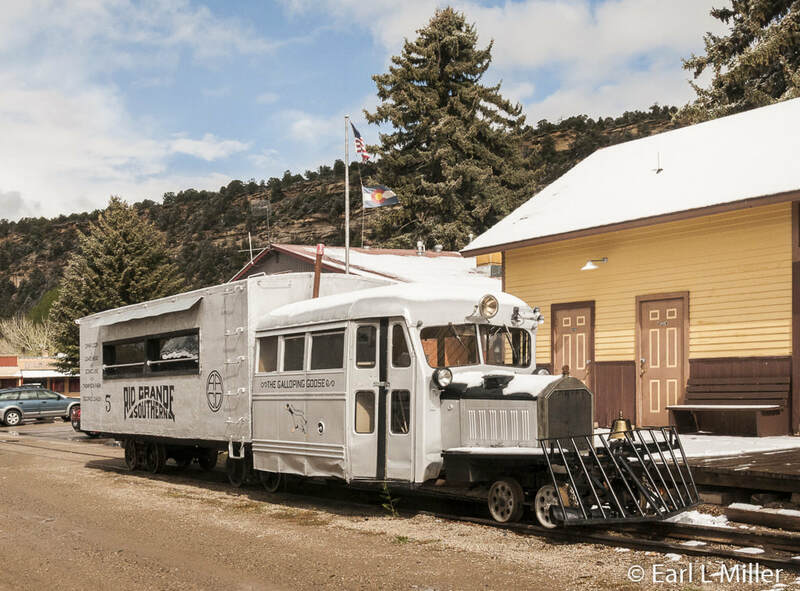 Galloping Goose #5 is displayed in Dolores, Colorado and is occasionally run by the Galloping Goose Historical Society on the Cumbres and Toltec Railroad and Durango-Silverton tracks. All are in running condition. Five members of the Dolores, Colorado Rotary Club bought RGS Galloping Goose #5 in 1953 for $250 during scrapping operations. It had gone into service on June 8, 1933. Although local railroad retirees maintained it, the Goose slowly deteriorated as it sat unprotected from weather conditions in the town’s Flanders Park. 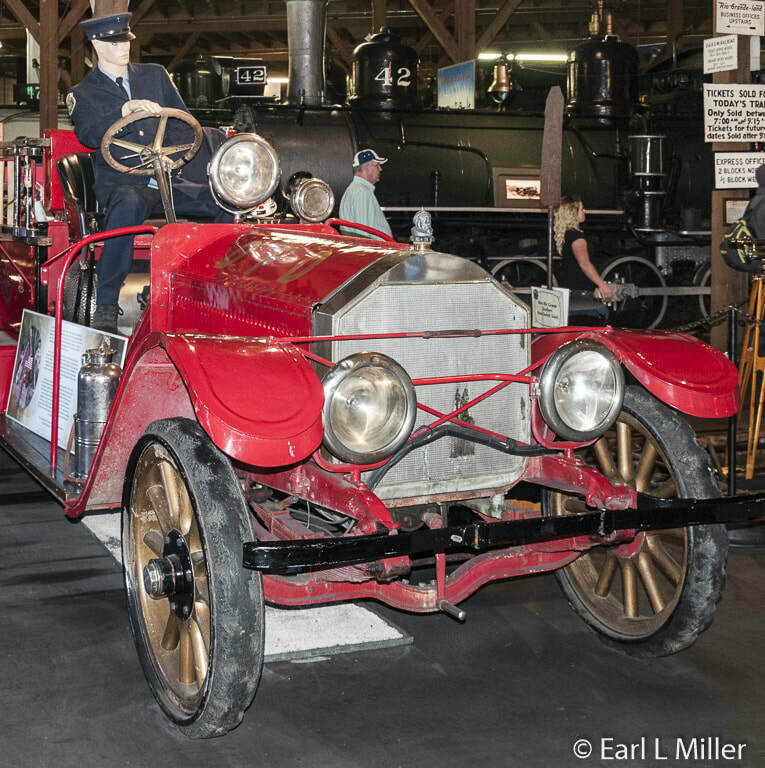 In 1987, the Galloping Goose Historical Society was created to restore RGS Goose #5. First, they built a replica of the RGS Dolores train station near its original site. In 1997 and 1998, they restored #5 to running condition. It made its first run on the Cumbres and Toltec Railroad in May 1998. The organization still continues to operate. It currently has more than 400 members with ones from Phoenix and Salt Lake City serving as part of the crew. During community events, it operates #5 in front of their museum. 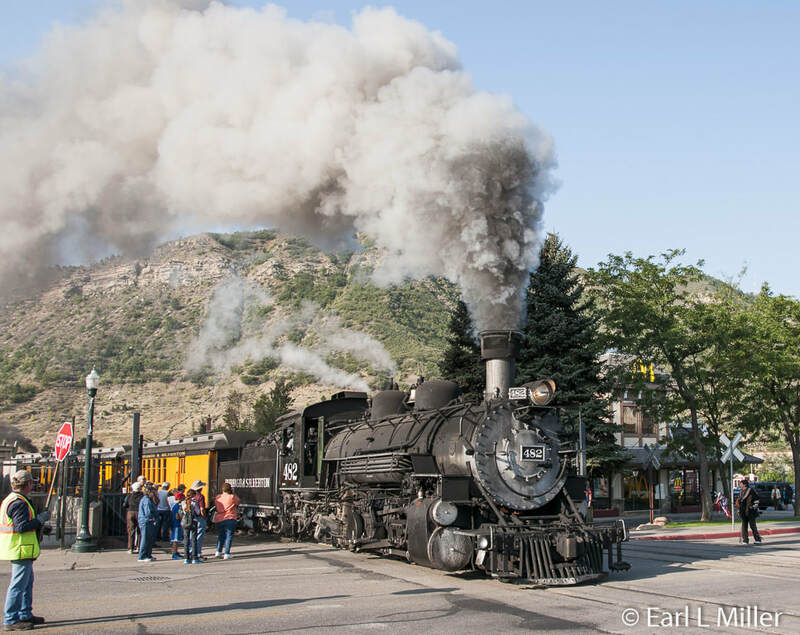 Occasionally, it runs full day excursions on the Durango & Silverton Narrow Gauge and on the Cumbres and Toltec Railroad during June and for local fall color. They run a Christmas train in Dolores as well. 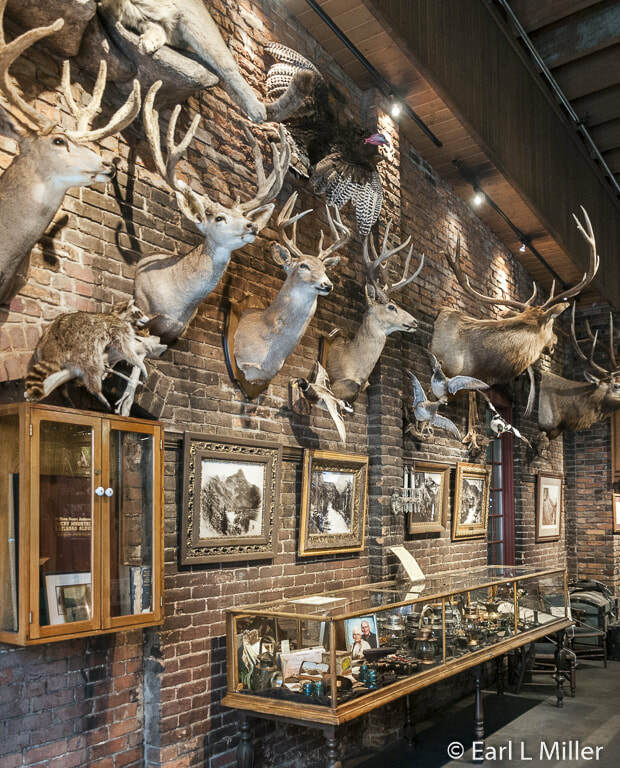 We spent a morning touring the museum and gift shop at the replica depot. Located in the middle of Dolores, it is open to the public from Monday through Saturday through mid May to mid October. Hours change depending on the month. During the winter months, hours are limited. Admission is free. 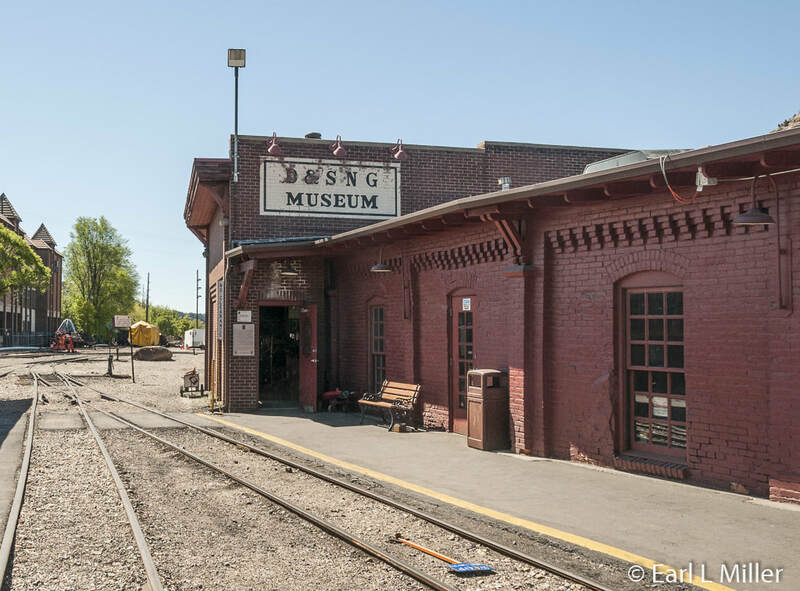 The two-room museum contains historic photos, interpretative displays, artwork, models, and artifacts on the history of the Galloping Goose and Rio Grande Southern Railroad. One model is a display of the town’s railroad yard as it appeared in 1946. Another presents an opportunity to sit at a station agent’s seat and operate an old-fashioned telegraph. One display is on Otto Mears, who built the Rio Grande Southern Railroad. He constructed hundreds of toll roads in Colorado including the Million Dollar Highway over Red Mountain Pass connecting Silverton to Ouray. Many exhibits are on the Rio Grande Southern Railroad. Visitors will find five cases of Galloping Geese models showing several depots. You’ll learn that on a typical day the trains carried mail, baby chickens, boxes of Wonder bread, and milk cans from the local dairy farmers. They also carried movie films for the local theaters as well as passengers to the various towns. Our highlight, however, was riding on #5 as it traveled three times back and forth on the track next to the building. Joe Becker, a member of the society, played motorman for us. “We have a great time operating it,” said Joe. You can join the free notification list for new articles by going to this site's contact page. Just supply your name, email, city, and state. We never give out emails.